Envelop yourself in old world charm! 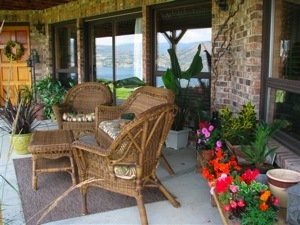 Sutherland Blueberry B&B is unlike any other accommodation choice in the Okanagan Valley. 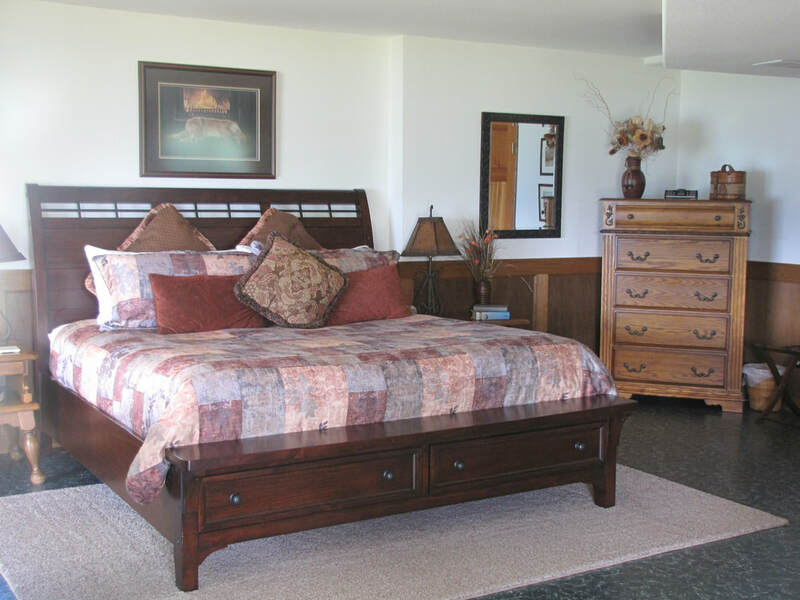 With 2 indoor living areas as well as a full kitchen and dining area we offer guests the spaciousness of a vacation rental with the personal touches of a Bed and Breakfast. 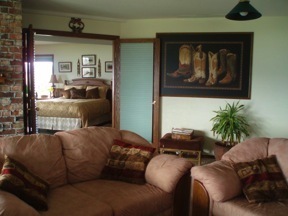 Enjoy a spectacular view, ample out door living space and all the comforts of home; all in unparalleled privacy. We invite you to let us be your home away from home. In your private master suite, enjoy a separate seating area featuring a large picture window with a view of Okanagan Lake and Giants Head Mountain in Summerland. Play a game of chess, or select a book from our library and get reacquainted with true relaxation. ​At night nestle under a soft duvet in your king bed and settle into the luxurious sheets. Draw the black out blinds for a quiet, restful sleep or leave them open and drink in the view as the lights of Summerland sparkle across Okanagan lake. 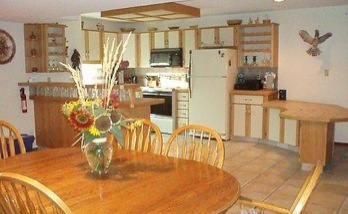 Our bed and breakfast includes a separate kitchen, dining area and living room; perfect for 2 couples or a small group. The tiled kitchen is complete with quality cookware, fridge, microwave, stove, kettle, toaster, and coffee maker making preparing meals a treat. Sliding doors from the kitchen and living room lead to a covered patio, numerous comfortable seating areas and your own barbecue. Enjoy your meals inside or dine al fresco in your private garden area. ​With décor inspired by the diverse birdlife that frequent our property, this cozy room is perfect for the additional couple. ​Enjoy a restful sleep on a pillow top queen mattress snuggled under quality bedding.